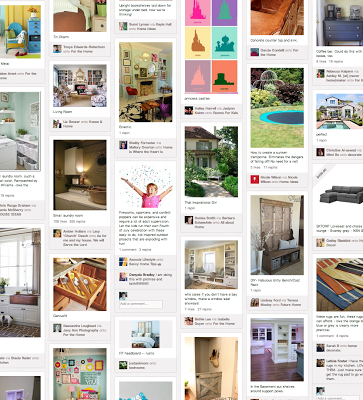 If you've never heard of or used Pinterest, you're missing out. Simply put, Pinterest is "a tool for discovering things you love and doing those things in real life." Since launching their site three years ago, Pinterest co-founders Ben Silbermann, Evan Sharp and Paul Sciarra have "helped millions of people pick up new hobbies, find their style and plan life's important projects." Pinterest is fast becoming a designer's best friend. "Many of our clients have spent months envisioning their dream space," says Monarch designer Amanda Willson-Suppa. "Pinterest is a convenient and easy way for them to assemble their favourite things over time and share their ideas with us." Monarch designers encourage their clients to spend time on Pinterest, creating a Pinboard with all the key features they'd like in their kitchen or bath. "By using Pinterest, we're able to get a genuine feel for what they want to achieve in their new space and can truly share in their vision." To learn the basics about using Pinterest, click here. For kitchen and bath design inspiration, follow Monarch on Pinterest.